The wheels of hope are turning! 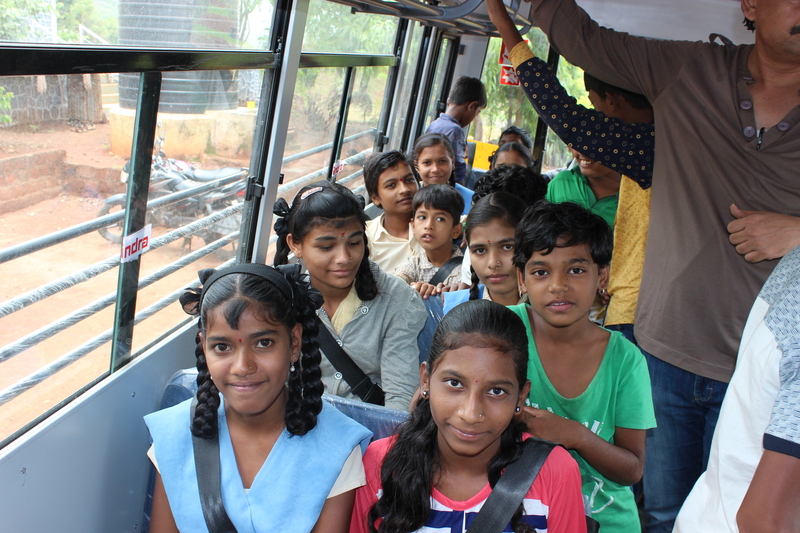 Alfa Laval provides a 25-seater school bus to Samarth Vidya Mandir - a CSR initiative to ensure no child in villages near Velvand misses school because of non-availability of transport facility. Samarth Vidya Mandir is a school located in Velvand a remote village about 20 Kms from Bhor in Maharashtra. It is the only higher secondary school (VIII to X Standard) in a radius of 15 to 30 Kms. Alfa Laval has supported the children from nearby villages to attend school by providing a school bus. On 23rd June 2018 at a small function in the school, the bus was formally handed over to the Principal of the school Mr. Shaukatali Shaikh by Mr. Prasanna Gote, Vice President Food Division, Alfa Laval India Private Limited. The bus from Mahindra Trucks and Buses Limited has all the safety feature like seat belts, first aid kit, fire extinguisher, emergency exit and speed control mechanism. The bus is small enough and sturdy (with 6 wheels) to navigate through the hilly terrain of the region. 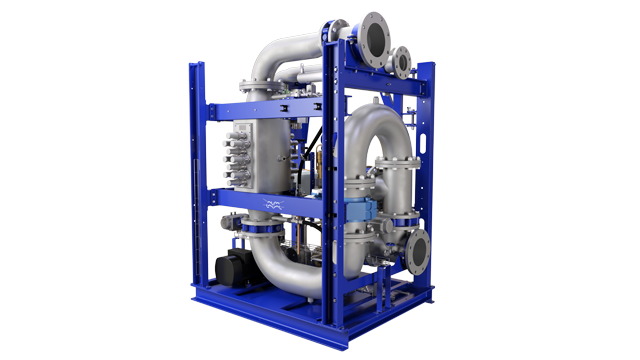 The principal said, “We are very grateful to Alfa Laval for the bus. We will ensure that every child in the nearby villages attends school”. In his key note address Prasanna Gote, Vice President Food and Water Division said, “Alfa Laval is a socially responsible company and we continue to make betterment of our environment and people wellbeing our priority. 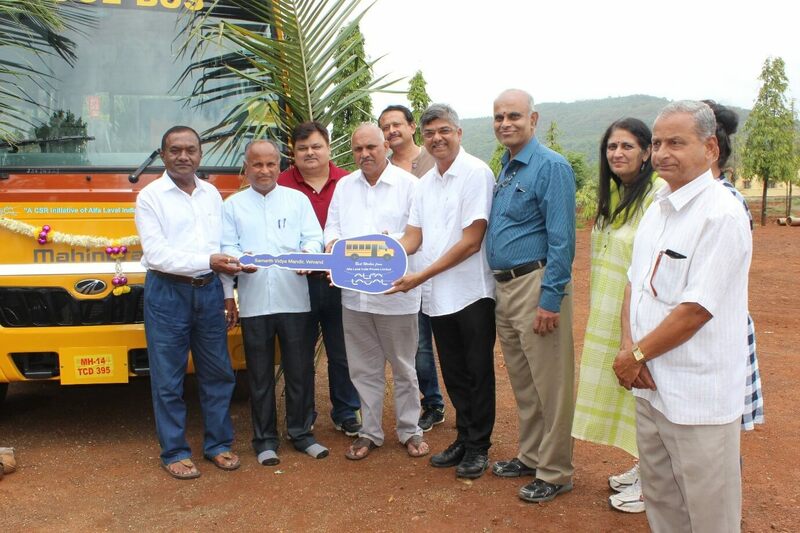 Samarth Vidya Mandir students, teachers and parents were very happy to see that they now have a bus that can reduce their daily woes of coming to school through tough hilly terrain in rainy as well as other seasons”. Present on the occasion were the Chairman and trustees of the school, the Sarpanches of the villages, CSR team of Alfa Laval along with family members.